Works for Samsung, LG & more. We are not responsible for any settings issues, it is your responsibility to make all the features work with your carrier. after 48 hours we will not honor any complain regarding defect or any other issue related to phone. Including the Moto G & X family of phones. "Up to 15 Hours of power from 15 Minutes of charging!". Compatible devices: Moto Z, Z Play, Z Play Droid, Z Force Droid, Moto M, Moto Z2 Force, Z2 Play. Moto Z3 Play, Moto X4, Moto G6, G6 Plus / Samsung Galaxy S8, Galaxy S8 , Galaxy Note 8 /. Sorry, no local pick up. Fastest on Motorola. Faster everywhere. And by developing a complete charging system, Motorola engineers can optimize any of the hardware and software components so that they work better together. The result?. 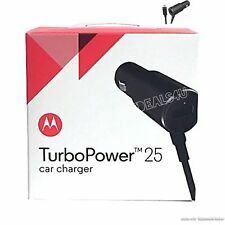 5 out of 5 stars - Motorola Turbo 25W Dual Port Rapid Car Charger For DROID, TURBO2, MOTO X,Nexus. 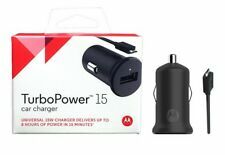 47 product ratings47 product ratings - Motorola Turbo 25W Dual Port Rapid Car Charger For DROID, TURBO2, MOTO X,Nexus. Find the complete list of compatible phones here. 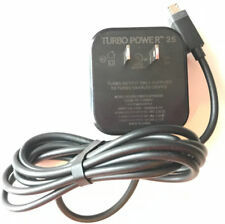 What is TurboPower?. 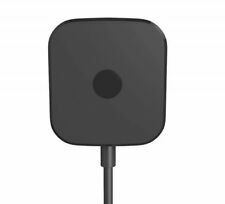 And by developing a complete charging system, Motorola engineers can optimize any of the hardware and software components so that they work better together. Including the Moto Z family of phones. "Up to 15 Hours of power from 15 Minutes of charging!". Such as the New moto X、Droid Turbo、Nexus6、Moto X pro、X style、X. force,Motorola DROID TURBO 2, MAXX 2 - 25W of power. Other Micro USB-enabled phones and tablets enjoy up to 25 watts of blisteringly fast charging. 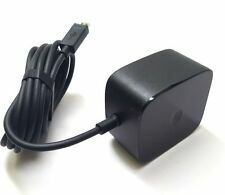 You are purchasing one Genuine OEM Motorola MODEL # MOT-C0003ADUUS Wall Charger Power Supply Black Part # SPN5838A.Bulk shipped, manufacturer wrapper still attached STOP This manufacturer makes this same Part # SPN5838A in multiple MODEL #'S, please make sure you match both the model # and part # you need! Each port provides 850 mA of power. Light sings of wear (Scratches, Marks,Scuffs). • Original Motorola Products. • Attached micro USB Cable. ATT Motorola MOTO Z9. • Original Motorola Product. 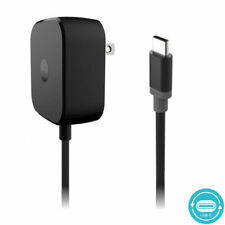 Compatible with Motorola phones equipped with micro-USB charging port. ATT Motorola ATRIX 2 4G. ATT Motorola ATRIX 3 HD. ATT Motorola ATRIX 4G. ATT Motorola BACKFLIP MB300. This unit has been thoroughly inspected, repaired and tested by our in-house, factory-trained technicians. You can expect a fully-functional unit. This refurbished unit has been thoroughly inspected, repaired and tested by our in-house, factory-trained technicians. 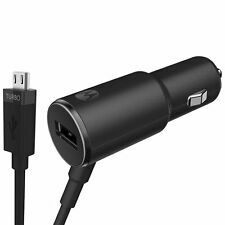 Compatible for - Motorola droid Razr, Droid Razr Maxx, Moto E, Moto G, Moto X. Part Number:SPN5886A. 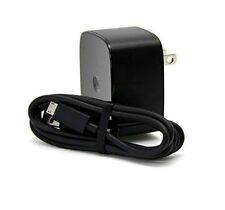 Compatiable with: Motorola 3-Pin, Motorola Micro-USB, Motorola Micro-USB Bluetooth Headsets, Motorola Mini-USB, Motorola Mini-USB Bluetooth Headsets, Motorola Unique Port. Manufacturer: Motorola. • Original Motorola Products. • Attached micro USB Cable. Motorola A855 Droid. Motorola Admiral. Motorola Admiral XT603. Motorola ATRIX 2. Motorola Atrix 2 MB865. Motorola ATRIX 4G. This is from an unlocked Motorola Moto E4 Plus (XT1771) TD-LTE dual sim. This has been tested as good and working.